The first task should be that the vampire has to have at least 3 rewards per tier level (unless they conflict...will have to check this). I'm also thinking that the second task should be: -Each vampire must complete a vampire aspiration, and all three vampire aspirations need to be done by end of challenge (choose one to do twice). A general rule regarding vampires is that they must be turned in game (like the founder or spouse), however, if one of their offspring is born a vampire, then they can do the tasks. Does this make sense? Max all the skills in the game at least once, across all the sims in your household over the generations. I feel that all of the EP bonuses should count the founder generation. So your founder or spouse would need to run around to all the food trucks. I do also see, however, that depending on the bonuses one takes, that the founder generation may be extremely difficult. Maybe we should say the subsequent generations, but give an extra 3 points if the founder generation can also complete the three tasks? I will add the Super Mini challenge when I make the rest of the changes. I forgot all about the matriarchy bonus...ouch! Yeah, I change my mind...make the bonuses start with the kids unless it states otherwise (like Jungle Adventure, for example) and then we will add a founder bonus. The vampire section looks good how you fixed it. I'm making my founder right now, and she rolled Good Vampire...lol guess we know one of the packs I am doing! I made some edits. Read through when you can and make sure I didn't confuse anything. And it's Selvadorado...just a little bit misspelled. Clarification for the collections task - do they just need to complete it, or do they need to have it physically on the lot? That is how I am playing right now, but wanted to get a consensus. I am going to start it and see how it goes but I have a few of questions. Can you play this on any lifespan you want? 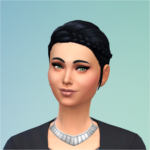 I have a mod that automatically assigns a trait upon aging up. Is that allowed? For each expansion, if you have it, are you meant to do each thing listed throughout the challenge or do you pick which ones you want to do? I would say either normal or long lifespan would be okay. Short is definitely excluded. We need to discuss this. Randomizing traits is the spirit of the challenge so that mod seems like it would be in the spirit, so I would say yes. And you pick up to three of the expansions and then do all three tasks for each of the expansions you choose. Simfulicious, does this sound right? I am on the beach, so if I seem off base, let me know. Sounds perfect! So jealous of your beach time! Have fun! Thanks and have fun at the beach! It's by Graycurse on Mod the Sims. It really is great! I haven't had any problems with it so far. I think I may try it also. I hate having to roll for them. @Teresa that is a big part of the reason I looked for one. That and the fact that I always pick the same ones over and over. Now I feel like my sims are who they are meant to be instead of me basically picking their personality. That's awesome! I can't wait to use it!